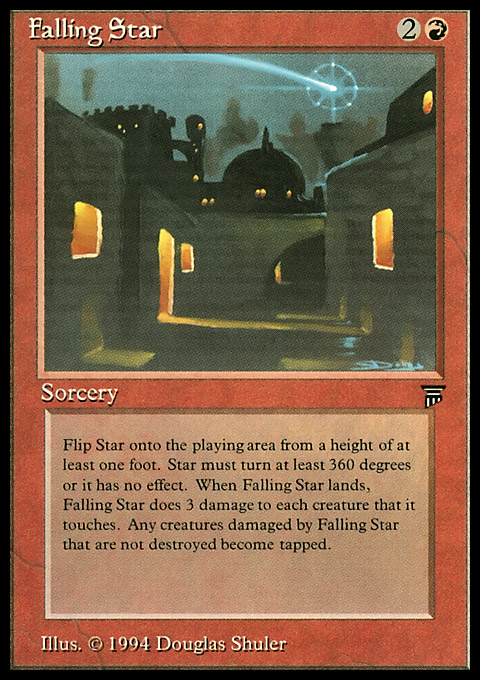 Falling Star is on the Reserved List. 2004-10-04 It must flip like a coin and not like a Frisbee. 2004-10-04 Only cards touched when it stops moving are affected. Not ones touched while it is moving.